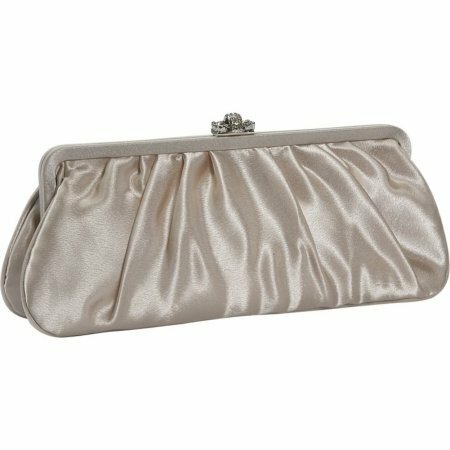 This sleek and beautiful satin clutch with crystal closure at the top will make you look and feel elegant with this super soft and eye catching clutch. Color: Eggplant. 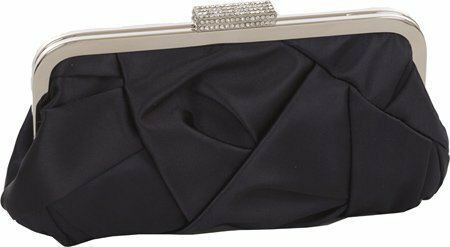 Flap clutch with snap closure. Concealable chain with 20 drop. Interior slide pocket. Dimensions: 2" x 8.5" x 3". Size: X-Small. 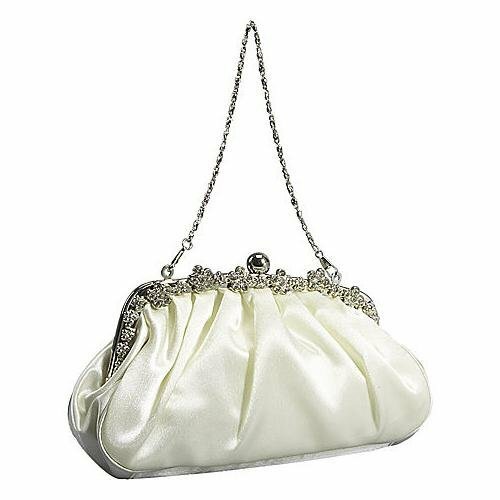 Material: Satin. Linear: 13.50". 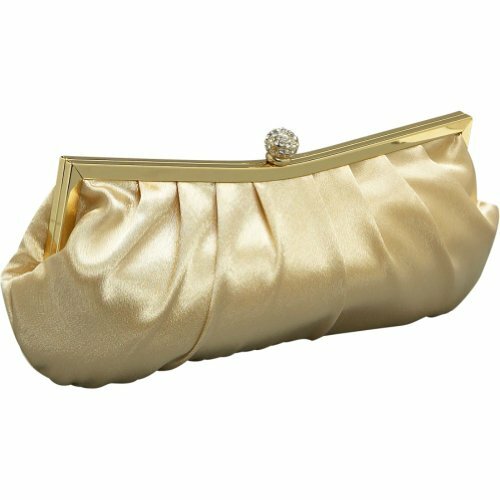 Large satin clutch with rhinestone design on frame. 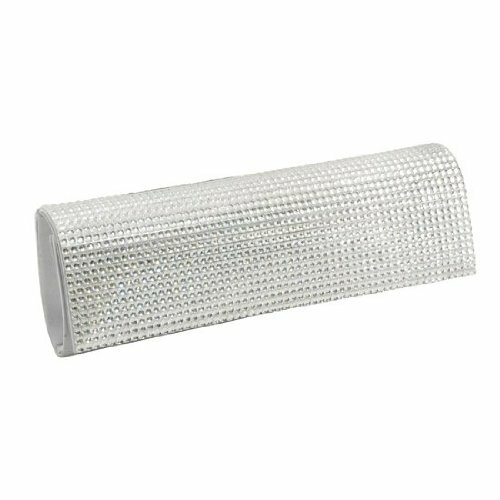 Classic rhinestone flower design on frame. 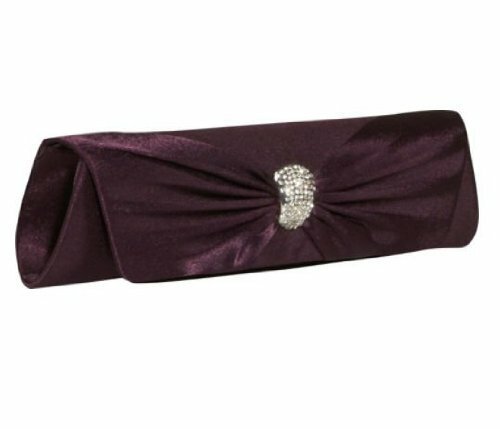 Ball clasp closure. 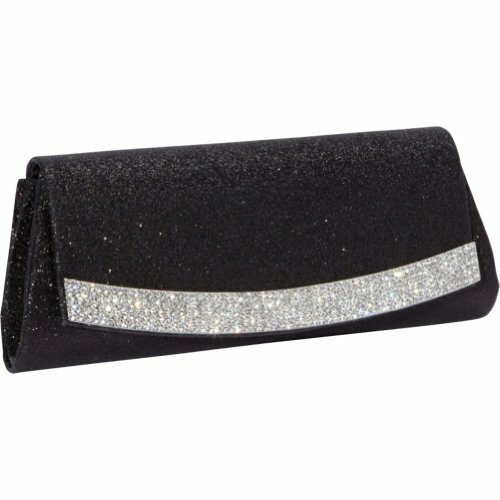 Interior slide pocket. 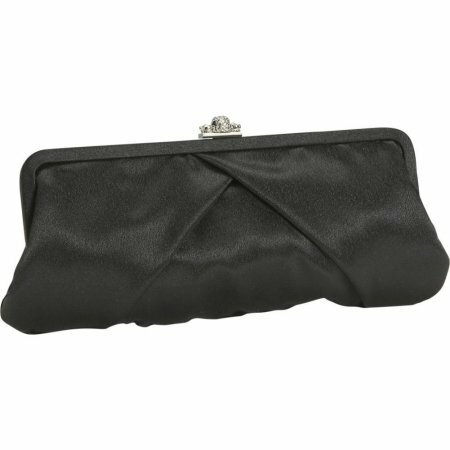 Comes with 2 concealable chain straps, shoulder length and 7 drop. Size: 12" x 5.5" x 2". Color: Ivory. Linear Inches 19.5". Size: Large. 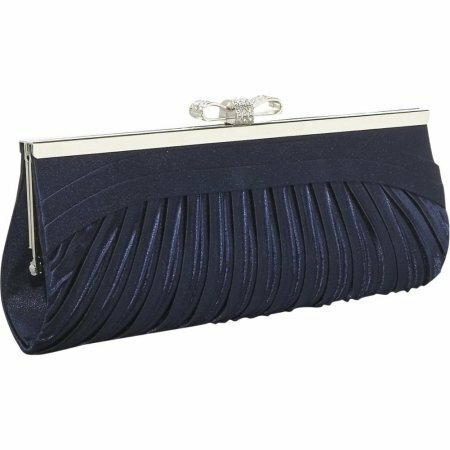 A beautifully designed satin pleated clutch for any formal occasion. 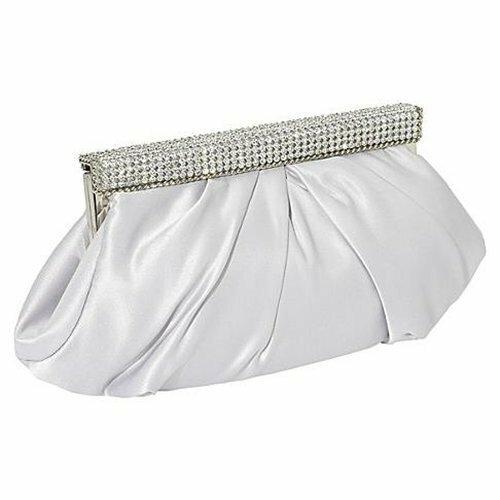 The Fashion Elegance clutch from J. Furmani is sleek and stylish, with subtle sparkle; the perfect addition to your evening look.